DUE 50 TIPS TRICKS AND WHERE TO GET PARTS! Don't be afraid...it's fairly straightforward! DO NOT REMOVE THE SCREWS AROUND THE HEADLIGHT!!! THESE ARE FOR BEAM ADJUSTMENT ONLY!!! Remove the 2 bottom screws on the front cowling. 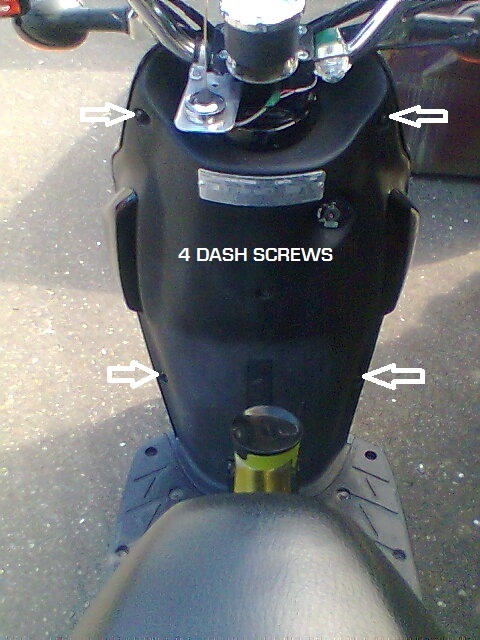 Remove the 4 screws located on the dash side of the front cowling. 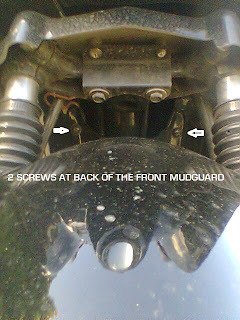 Remove the 2 large screws located close to the elbows on the front cowling. Gently unclip the front cowling until it can be leaned slightly forward at the top...giving enough room to allow the removal of the headlamp bulb. Slide off the attached spade connector. 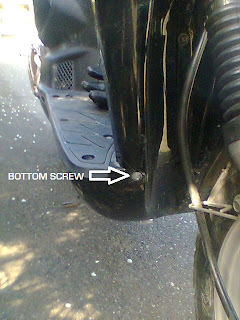 Gently loosen the bulb-holder clip, then remove the bulb by its base. 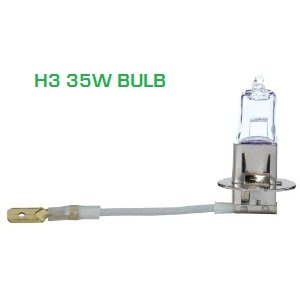 *FIRST - Put on a pair of thin cotton gloves so as not to leave any grease marks on the new bulb. Insert the bulb into the holder and secure the clip. You may now remove your gloves! Hook up the spade connector.....and that's it! Now all you have to do is to carefully clip the cowling back into place....put in the 4 dash screws...then the 2 bottom screws....then the 2 large screws. Carefully replace the mudguard and tighten the 2 holding screws. 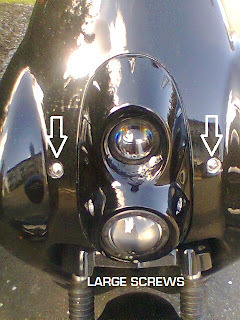 To replace the identification light (just above the headlight) follow steps 1-6. The id light holder has 3 screws which hold it to the cowling, 1 at the top, 1 at each side on the bottom. Carefully remove these screws and gently pull the whole assembly loose from the cowling.The bulb is at the bottom of the assembly, held in by a rubber holder. Gently pull out the holder and remove the bulb. Replace with GE 168 bulb (it's a little brighter). 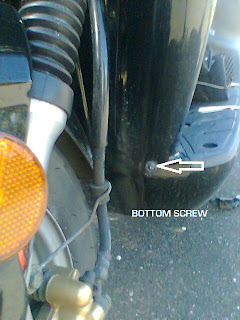 Place the bulb and lens assembly back in place and tighten the 3 screws. Re-assemble the cowling as above. Keep coming back...there will be more! More features, repairs, part #s and where to get them... coming soon! GIVE MY CAR A REAL NAME!